All In! Free Wi-Fi & Free Drinks! Go All In and get Free unlimited drinks and Free Wi-Fi when you book a select Caribbean cruise. That's over $550 in value! Also, deposits are only $99 per person. Don't miss your chance and book today for the best availability! 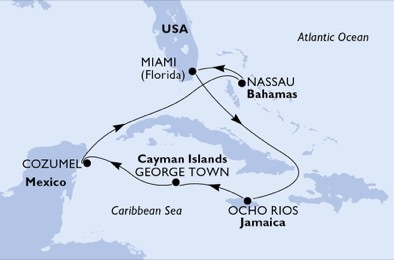 Escape To Sea: Rates From $449 On Select Winter Voyages! Start cruising at discounted rates aboard the MSC Seaside, MSC Meraviglia, MSC Divina or MSC Armonia. Offer valid on select sailings only. Book today for the best availability. Note: AffordableTours.com is a travel agent for MSC. Brochure Price is based on the itinerary's highest brochure price. Our price reflects our base price for the same departure as Brochure Price. All prices, itineraries, accommodations and dates are subject to change without notice and at any time. All prices are USD per person and based on double occupancy. Availability is limited and must be reconfirmed at time of booking. All prices change frequently and our website prices are not guaranteed until a deposit has been received by us. The prices on our website are intended to serve as a guide only and may not accurately reflect current prices. We are not responsible for errors, omissions, or changes in these prices until a booking has been confirmed by one of our agents. 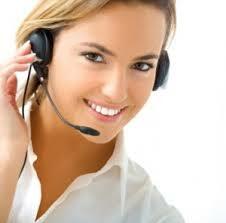 Please call us toll free at 1-800-627-3753 to confirm current prices and availability. Prices listed are per person, cruise only, and based on double occupancy. Prices include port charges but not surcharges or taxes.